If you have been searching for the pulse of American herbal medicine, then you will absolutely find it in Jesse Hardin’s The Plant Healer’s Path. A great amount of herbal learning currently focuses on the how, what, and when of plant medicine: how to apply herbs to benefit health; what plants should be used for which condition; and when medicinal plants are best employed. This approach to learning continues to be embraced for good reason; it takes years upon years of absorbing and applying herbal knowledge before one can indeed begin to understand the nuances of plant medicine. 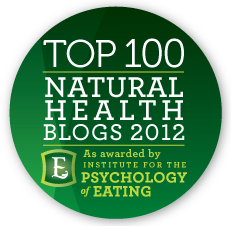 There is, however, a whole other stream of herbal learning that is equally as important as this conventional approach, but which remains largely neglected by most educators, practitioners, and students. This new stream of learning focuses on understanding the “why” of plant medicine, and Jesse Hardin’s The Plant Healer’s Path offers compelling reasons why we should all be paying more attention to these questions. Seeking answers to “why questions” is never easy, especially when we’re addressing the weightier issues of our craft. For example, consider some of these very important questions: Why might it be difficult to forge your own path as an herbalist? Why can the herbal path feel daunting, confusing, and even downright lonely? Why do many herbalists practice in ways that are so different from one another? 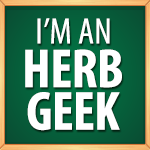 Why can it be challenging to know which area of herbalism you are best suited for? Why is the term “herbalist” often ambiguous and misunderstood? And why is critical thinking the key that will make or break the success of an herbalist? Hardin offers the reader thoughtful, accessible, and down-to-earth answers to many of these crucial questions, presenting insights that are gleaned from years upon years of experience and deep reflection. I like to think of this book as an herbalist’s manifesto. While the questions raised in this book are both weighty and nuanced, Jesse successfully equips the reader with the tools, strategies, and mind frames necessary to craft individualized answers and conclusions. As well as addressing many of the difficult “why” questions of herbalism, The Plant Healer’s Path also serves as a how-to manual for finding and sharing your own unique voice as an herbalist. This is a book that most definitely deserves to be carefully read from cover-to-cover – many times over. I read it twice in five days! Along with Hardin’s compelling intellectual prose, The Plant Healer’s Path also offers exciting and thoughtful insights from seasoned and up-and-coming herbalists alike. Kiva Rose contributes an enchanting series of herbal lore as well as astute perceptions gained from years of practice and personal hard-learned lessons. And the political commentaries, stimulating discourse, intriguing sentiments, and heartfelt reflections shared by prominent herbalists such as David Hoffmann, Paul Bergner, Phyllis Light, Sam Coffman, Rebecca Altman, and Roger Wicke are also especially enjoyable, and succeed at keeping the reader actively engaged. These contributions bring a depth of information that I feel readers will immediately relate to; I know I did. Now that this new stream of herbal learning has been raised, evaluated, and shared, I believe it has the capacity to deeply empower herbal students and practitioners alike. I envision that books such as The Plant Healer’s Path will soon be included as mandatory reading for current herb school curriculums. Graduating students, along with anyone interested in pursuing herbalism as a vocation, will be profoundly aided by understanding precious non-tangibles, such as the possible roles of the herbalist in society, the current climate within and without the herbal community, the benefits of building relationships with other herbalists, the multiple ways to co-create the culture of folk herbalism, and how to effectively evaluate your successes and learn from your failures as an herbalist. Furthermore, Jesse dutifully explores and evaluates questions surrounding ethics, regulation, professionalism, and health paradigms. The most valuable aspect of this book, however, is the way in which Jesse Hardin initiates this important conversation, and then encourages readers to reflect on and contribute to the discussion. The Plant Healer’s Path is not a manual to take verbatim; you won’t agree with everything represented in this book, nor should you! Rather, consider it a strategic tool that will empower you to seek your own answers, uncover your own voice, and add your own unique insights to the conversation. Ultimately, this book is a provocative invitation for you to help co-create a newly emerging herbal renaissance. I highly recommend you pre-order your limited edition hardcover copy today, because this book is already a classic. All photos copyright of Plant Healer Magazine. I’d love to get the SOFTCOVER edition. It seems to be coy; where and when can one get it? has the hard cover edition started shipping? I just paid for a copy earlier in the week…… I am eagerly awaiting it lol.